Archana is a business litigator who assists clients in matters involving health care and ERISA litigation, patent disputes and general business disputes. A former judicial clerk for the Minnesota Supreme Court, Archana has served as lead attorney in numerous Medicare, Medicaid and ERISA actions nationwide for health insurers, plan sponsors and administrators. She also represents patentees and accused infringers in patent infringement and invalidity matters across the country. Defends national health insurance companies in multimillion-dollar Medicare, Medicaid and commercial health care disputes with providers, third-party administrators (TPAs), Accountable Care Organizations (ACOs), and managed services organizations (MSOs) in multiple jurisdictions. Defends plans and administrators against ERISA breach of fiduciary and denial of benefits actions in federal courts nationwide. Represents patentees and accused infringers in several complex patent infringement and invalidity matters, including management of claim construction, Markman hearings and expert reports on mechanical/electrical patents. Represents a Fortune 500 health insurance company in litigation and arbitrations across the country against providers submitting fraudulent/improper health insurance claims. Obtained dismissal through summary judgment, affirmed by the Ninth Circuit on appeal, of federal case seeking tens of millions of dollars for alleged RICO, Securities Fraud, and unfair competition claims. Uthe Technology Corp. v. Aetrium, Inc., D.C. No. 3:95-cv-02377-WHA (9th Cir. July 2, 2018). Successfully defended a national Medicare Managed Care insurer as co-lead counsel in a two-week confidential arbitration against a claim of $20 million owed on the final reconciliation of a contract with a managed services organization in South Florida, and served as lead counsel in defeating appeals of the arbitration award, including a petition for certiorari to the U.S. Supreme Court. Successful summary judgment and defeat of appeal to Iowa Court of Appeals relating to a national health insurance payor’s denial of benefits under the Iowa Insurance Code. Obtained summary judgment in federal court relating to an ERISA plan sponsor’s denial of benefits. Served as lead associate and presenting attorney in a confidential arbitration defending an insurer against a $5 million contract claim by a managed services organization and the counterclaim that the managed services organization’s new plan improperly enrolled the payor’s members. Prior to joining Fox, Archana was a partner at Oppenheimer Wolff & Donnelly LLP. While attending law school, Archana was editor of the Minnesota Journal of Law and Inequality and a member of the Order of the Coif. 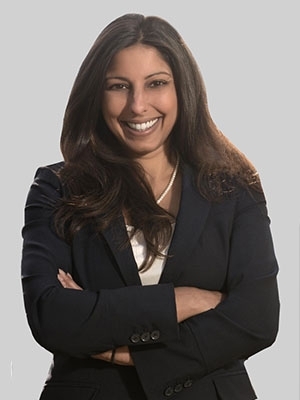 Archana is a board member and former board president of the Minnesota Justice Foundation, an organization that connects law students and public service organizations to provide legal services to a wide range of under-served populations in need. Archana is also the co-chair of the firm’s Pro-Bono Committee and is actively involved in a number of charitable, community and pro bono activities. She volunteers at the Children’s Law Center, which helps to solve an array of legal challenges facing low-income children and their families such as issues related to custody, special education services and basic utilities. Archana participates in the Tubman Safety Project, which provides pro bono legal representation to low-income victims of domestic violence seeking orders of protection. She also led a team of volunteer attorneys in her office that provide representation to a defendant in a death penalty case through the American Bar Association’ Death Penalty Project. Archana also serves as a reading volunteer at St. Joseph’s Home for Children.